Adoption Baby Joy has brown open/close eyes and medium dark skin tone. Her sweet, adorable face will make little ones fall in love and start building memories that will last a lifetime. Adopt one or all of Adora’s Adoption Babies and bring them to their forever home! 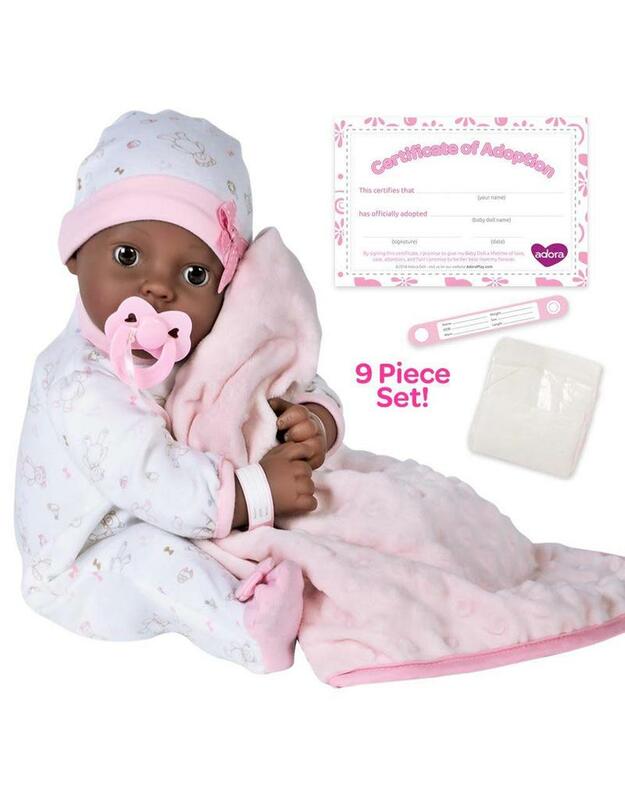 These precious babies are 16” head to toe with a soft and cuddly body and fresh baby powder scented vinyl. There are four sweet and adorable babies to choose from, Hope, Cherish, Precious and Joy - each with a different skin tone and eye color. Your little one will build a special bond with their Adoption Baby as they experience what it’s like to bring a baby home. Little parents in training can name their baby, and start their very own baby doll family while learning to nurture and engage in pretend play. Ages 3 and up.